These delicious chocolate cupcakes are the perfect naughty treat that I bake time and time again. The following recipe makes 12. 1. Preheat the oven to 180c and place 12 paper cases in a muffin pan. 3. Spoon the mixture evenly into paper cases. Bake in the preheated oven for 15-20 mins, until risen and firm to the touch. (Once baked the cupcakes should look like the image below) Transfer to a wire rack and allow to cool before frosting. 4. 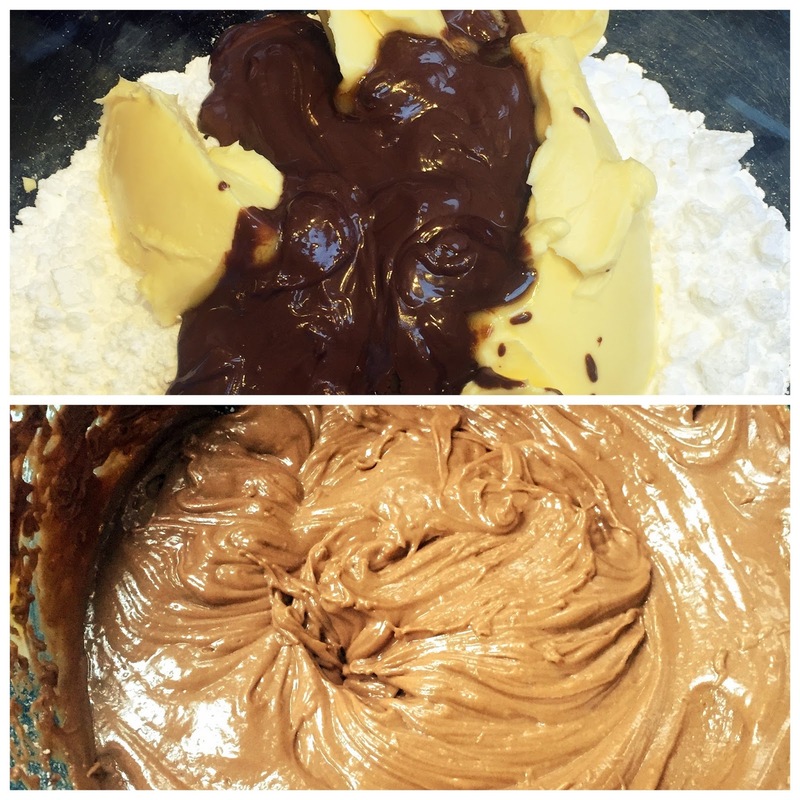 For the icing, sift icing sugar into a mixing bowl then add butter and the melted chocolate. Mix together on a low setting at first (so the icing sugar doesn't go everywhere!) then increase the speed until the mixture looks like the image below. 5. I used a piping bag and nozzle to frost my cakes however you can dollop the icing you have made onto a cupcake and spread it evenly with a knife or the back of a spoon. Add sugar sprinkles or any other decorations you like and you should be left with the finished result below. Let me know how your scrumptious chocolate cupcakes turned out in the comments! Thanks Kathryn! I love baking, I find it so relaxing. Oh yes SO happy GBBO has returned!! Lovely recipe! 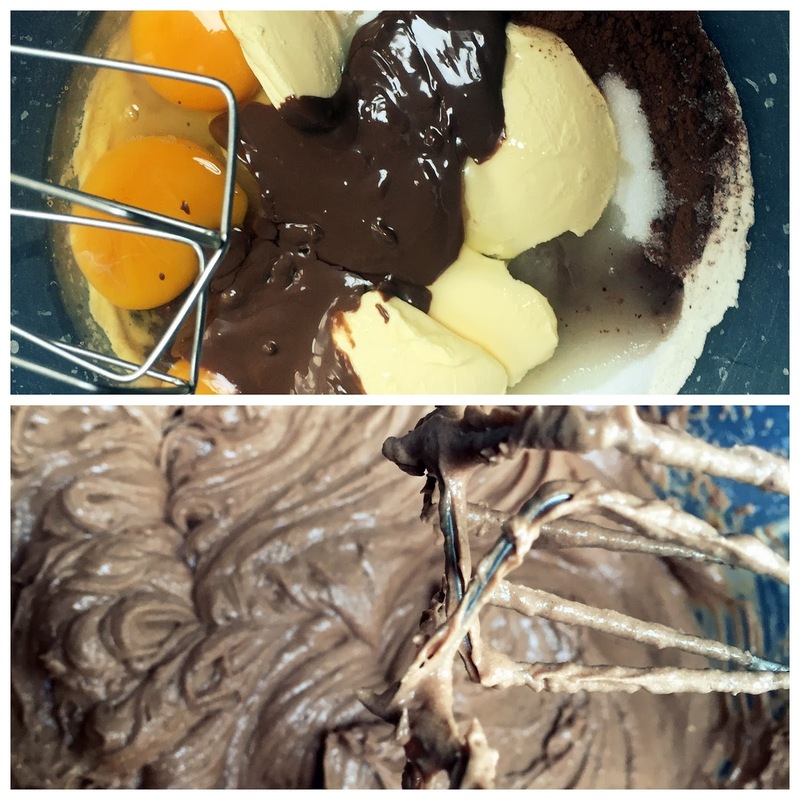 Also really like that you added pictures of how the mixture should look because when I follow a recipe I never know if I'm doing it right! These look gorgeous! May have to save this recipe for the future! Thanks Cara, that's really lovely of you! I'll get on with it now and post it tomorrow.